CRISPR “MAGIC.” Thought your baker’s yeast could never do anything more exciting than make bread rise? Well, think again. Two teams have remixed your yeast, with the help of gene editing tool CRISPR. 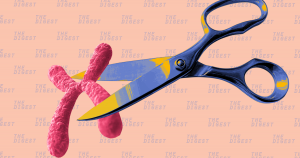 The first team, a group out of the NYU School of Medicine, took a yeast species with 16 chromosomes and used CRISPR to fit all the DNA it needed to function into just two chromosomes. The other team, this one from China, packed it all into just one chromosome. Both teams published their studies in the journal Nature on Wednesday. THE CHROMOSOME ZONE. Nearly every cell in the human body contains 23 pairs of chromosomes, tiny packages of DNA and proteins nestled in the cell’s nucleus. All eukaryotes (a group that includes plants, animals, and humans) have chromosomes, and they play a major role in helping our cells divide and function. Not every eukaryote species has the same number of chromosomes, though. In fact, the numbers vary widely — the spider mite has just two pairs, while the Atlas Blue butterfly has 224 pairs — and no one is sure why. Studies like this one could help researchers figure it out. NO BIGGIE. Using CRISPR, each team was able to fuse the yeast’s chromosomes until they reached just one or two. And surprisingly, the yeast didn’t function all that differently. “That was the biggest shocker — that you can just get away with this and yeast seem to shrug its shoulders,” Jef Boeke, senior author of the NYU study, told Nature. While the two-chromosome yeast survived, divided (reproducing asexually), and grew at the same rate as normal yeast, the one-chromosome yeast was a little slower at dividing. Neither yeast could successfully “breed” with other strains, either — for example, the yeast with two chromosomes couldn’t breed with yeast with 16 chromosomes. A NEW SPECIES. This inability to breed with other yeasts could qualify the new yeast as a brand new species, said Boeke. That could have some substantial real-world applications — researchers could take strains of yeast capable of breaking agricultural byproducts into biofuels, for example, and adjust their chromosomes so they won’t breed with other yeast when released in the wild. Additionally, this research could help us understand what causes chromosome abnormalities in human cells, the kinds that can cause miscarriages or Down’s syndrome. And finally, it could help us figure out why different species have different numbers of chromosomes. Is is just a matter of chance? Or is there something we’re missing?